La Salle University is pleased to announce it has entered into a partnership with Merakey USA to offer employees a discount on undergraduate and graduate tuition. 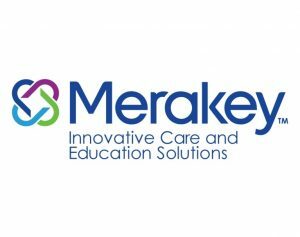 “Merakey supports employees who wish to continue their education and enhance their professional development. We are excited to partner with La Salle University, which provides another opportunity for our dedicated workforce to pursue their academic and career goals,” said Ted Dallas, President and COO at Merakey USA. Effective for the spring 2019 semester, Merakey USA employees can receive 15 percent off regular tuition rates for select undergraduate adult, graduate, and certificate programs at La Salle University. Programs are offered at two locations in the Delaware Valley—Main Campus in Philadelphia and the Montgomery County Center in Plymouth Meeting—as well as through convenient online and hybrid formats. For more information on the partnership between La Salle and Merakey USA, please click here. About Merakey USA Merakey is a leading developmental, behavioral health, and education non-profit provider, offering a breadth of integrated services to individuals and communities across the country. We leverage our size and expertise to develop innovative solutions and new models of care to meet the needs of individuals, their families, public and private healthcare funders, and community partner organizations. We recognize that complex needs require a holistic approach. With our experience, expertise and compassion, we empower everyone within our communities to reach their fullest potential.